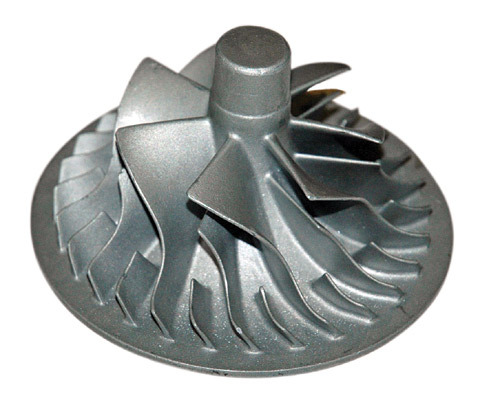 Impellers are rotors that can increase or decrease the flow and pressure of a fluid. When driven by a motor, fluid can be accelerated outwards away from the rotating part. When confined by a pump casing, Impellers can drastically increase the pressure of the moving fluid. In applications where fluid flow is to be decreased, Impellers can also be used. This component can be thought of as the handle on your kitchen sink. The handle controls the amount of fluid that comes out of the faucet, much how an Impeller dictates how much fluid is sent into an industrial system.